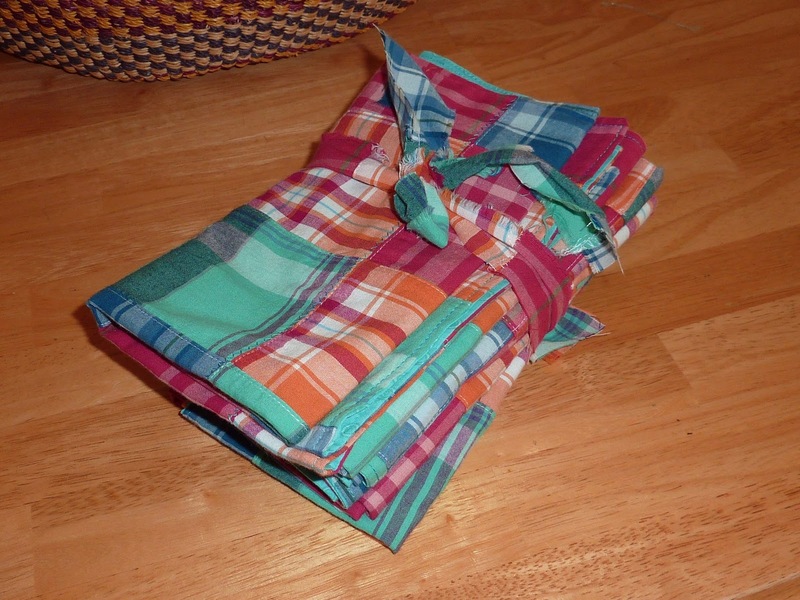 Our kids in Minneapolis use only cloth napkins and I sewed a set of 6 colorful patchwork napkins for them. I lined them and used a pillowcase finish. 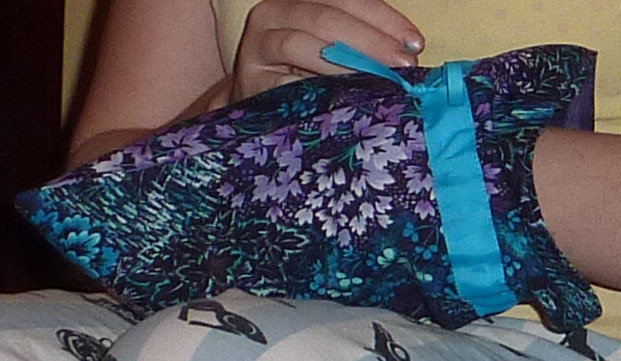 I didn’t think the fabric had enough body to just give them a rolled hem. 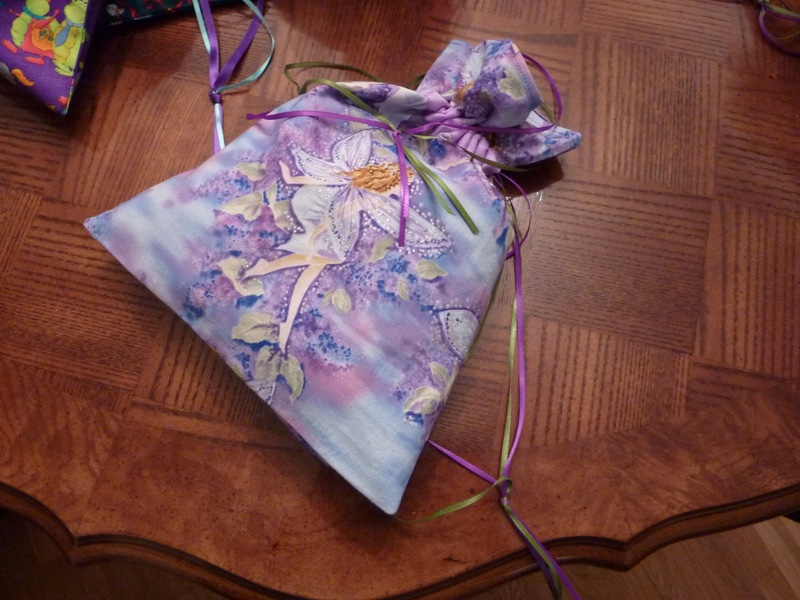 I love the look of beautifully wrapped gifts but it always gives me a twinge when I see those gorgeous wrappings ripped off and thrown in the garbage. So I decided to make some reusable gift bags. 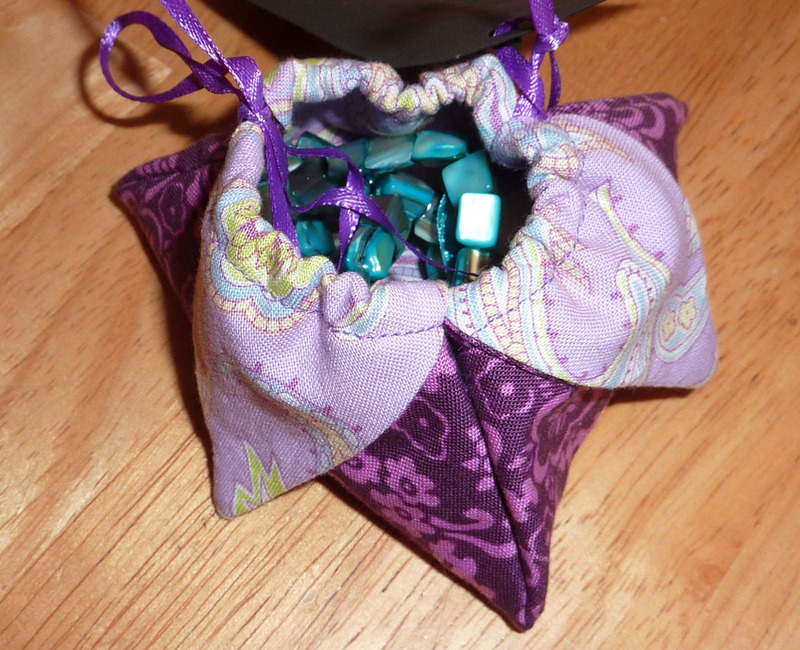 I made a few little triangular shaped pouches and several larger drawstring bags. 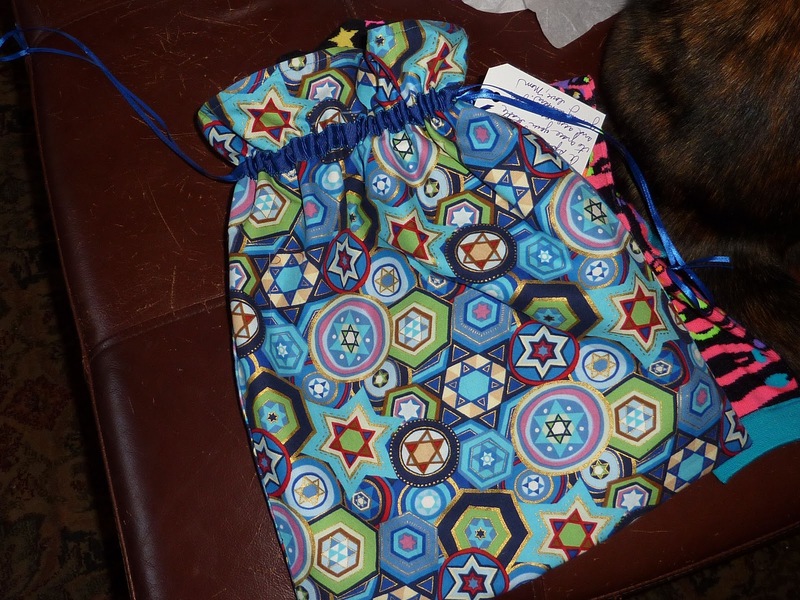 I expect that the bags will be put to good use – even if it’s just to pass along with a gift to someone else. I did some with holiday themed fabric and some that weren’t. Then they can be used year round. I saw the pattern for this online a few months back and haven’t been able to find it again. If I do I’ll be sure to give proper attribution. 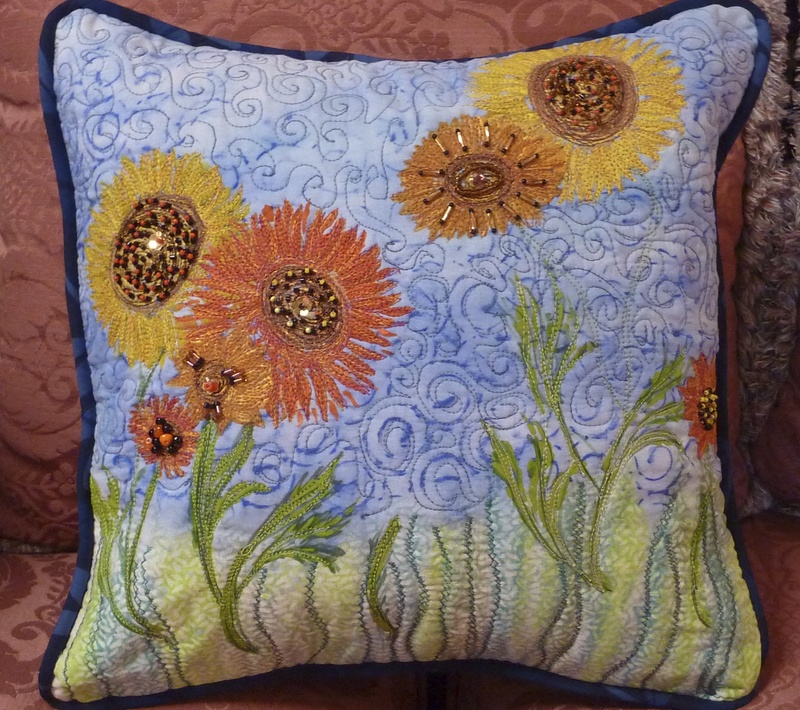 I have no particular pattern for these – pretty much custom made them to size considering the gift that was to go inside.